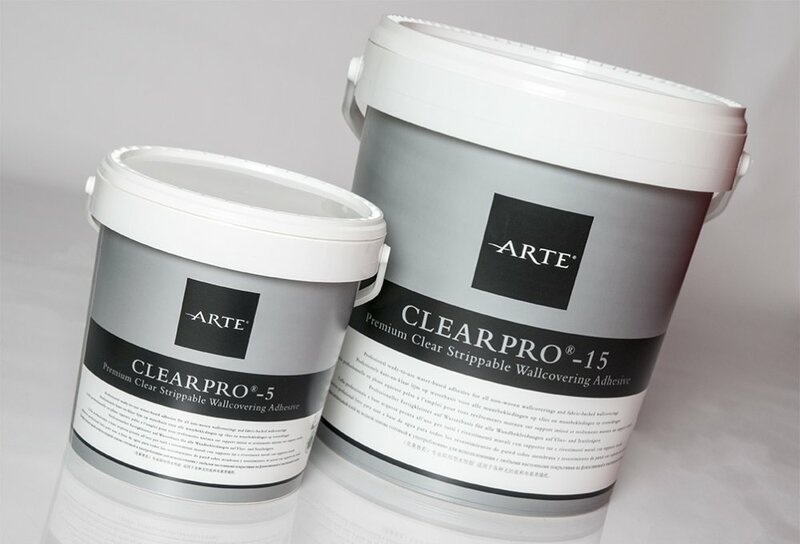 Clearpro is a professional ready-to-use water-based adhesive for all non-woven wallcoverings and fabric-backed wallcoverings. Advantages- Ready to use immediately. - Extended open time, so easy to correct mistakes. - Can also be used in pasting machines or airless spray guns. - Wallcovering installed with Clearpro can be easily removed afterwards. - Sensitive to frost - keep in a cool, dry, and frost-free place. When applying the wallpaper, always follow the manufacturer's instructions closely. The surface must be dry, clean, solid, smooth, and slightly absorbent. Remove old wallpaper and remainders of adhesive. Rub off old coats of paint. Fill any holes and cracks. Prime highly absorbent surfaces, but make sure the surface is not completely sealed. Apply the adhesive evenly to the wall with a microfibre roller. Lay the back of the wallpaper in the adhesive and press it on with a rubber roller or plastic spatula. Immediately, and carefully, remove any adhesive from the front side of the wallcovering, using a microfiber cloth and clean, cold water. Drying time varies depending on the temperature, ventilation and humidity of the room. Do not use when the room temperature is below +10°C. Close container after each use and clean all tools with warm water immediately after use.